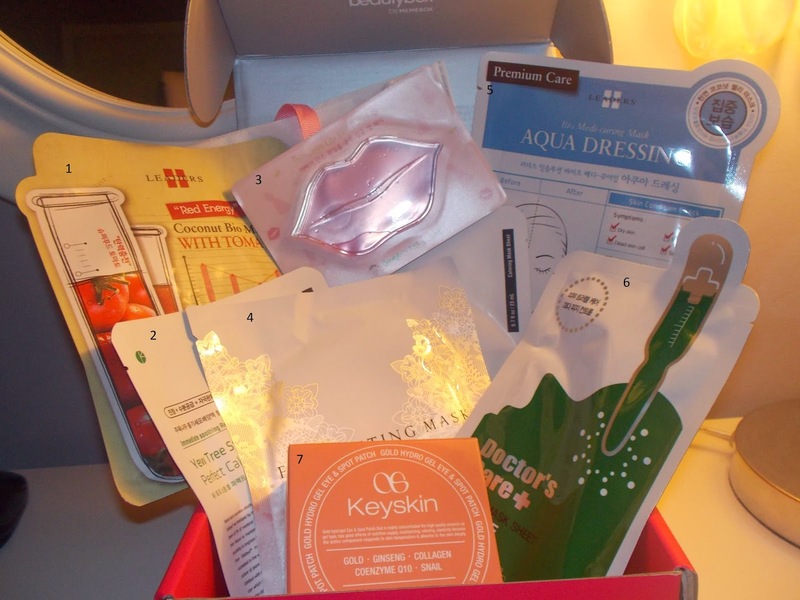 I got the mask box #2 with my anti-aging box. Instead of the Etude House lip mask it has a Chossy peach lip mask. I think one of the other sheet masks are different, but the rest of the stuff is the same. I bought it for the Secret Key spoiler anyway. Kinda boring box, but super useful! LadyManah, you mean this one? This is a Japanese brand not Korea. My sister bought a few at a local Japanese store for 100yen during her Tokyo holidays few months ago. LadyManah, you mean this one? image.jpg This is a Japanese brand not Korea. My sister bought a few at a local Japanese store for 100yen during her Tokyo holidays few months ago. Yep, that's the one! But it looks like the one I got is actually "fruit" and not "peach"
Memebox Hair & Body & Memebox The Mask Edition #1. I wish they had a better selection of Masks, maybe some from Etude house, cause lord knows I love Etude House's packaging. @ did you try those Keyskin patches yet?? Im really curious about them! Yes, it made my skin really nice, there really great!! Pretty great deal - 49$ just for that one item. Did you order the Hair & Body? oH JEzzzzzz. I had no idea! Wow they did overvalue that..Back to the drawing board. I think all companies are like that, they need to published RRP price, it's not they purposely overvalued their products but just that we can find cheaper alternatives elsewhere. All editions are welcome here! The Coconut and tomato one smells delicious! Also the Keyskin one is really nice! Can't believe it's $49 RRP! That's insane! Yeah, mask edition #2 was worth about $40. The Keyskin patches are ~$15 depending on which eBay seller you get them from, the foot masks are $5, and each of the sheet/hydrogel masks are approx $3. Not the best value of the Memeboxes but I did enjoy 100% of the items so that's what matters. Wait, was #2 the same as #1? With just one mask variation? Dangit! I'm getting #3 and while I want those keyskin patches, I wanted it to be a whole lot of new stuff! I wish they would re stock mask box 3! I loved the 2nd one ! And the keyskin patches are really amazing, Im not one to love under eye creams or masks as they never work, but this actually does! Really works on depuffing and the dark circles under my eyes! Ditto!! We should post here when it does restock! Totally want to get a mask box next time they have them! If it wasn't for the drawer of sheet masks that I have I would jump at trying a mask box. I still need to use up what I have, lol. my goal is to use my stuff up. No hording. No saving it for a "special day" - lol - of course, it will take me a long time to put a dent in my stuff, but at least I will be making progress. I have a few that I am saving for special occasions as they are my favorite. My Etude House Collagen mask and the My Beauty Diary Caviar masks are my special masks that I know I love, the MBD apple polyphenol masks I use when I have acne issues. I have a bunch of other random ones for any time use. I designate Sunday night as my Sunday Spa Night. Masks, special treatments - while I watch something good on TV.